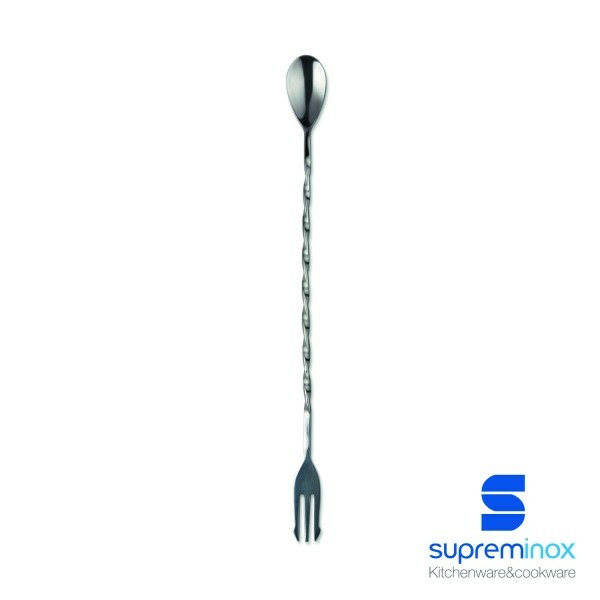 What is the purpose of this Supreminox spoon with fork for cocktails? Its function is not to break the bubble of the gin, allowing it to move along its ridged shape. Do you know iT! The end of the fork serves to take the fruit from the cocktail shaker in a quick and elegant manner. These gin and tonic braided spoons are made of stainless steel in two sizes: 26 cm and 31 cm. They are very practical and attractive in design.